This stainless steel 35x41mm. 1971 BULOVA ACCUTRON has a very eye-catching ORIGINAL two-tone dial in black and silver. 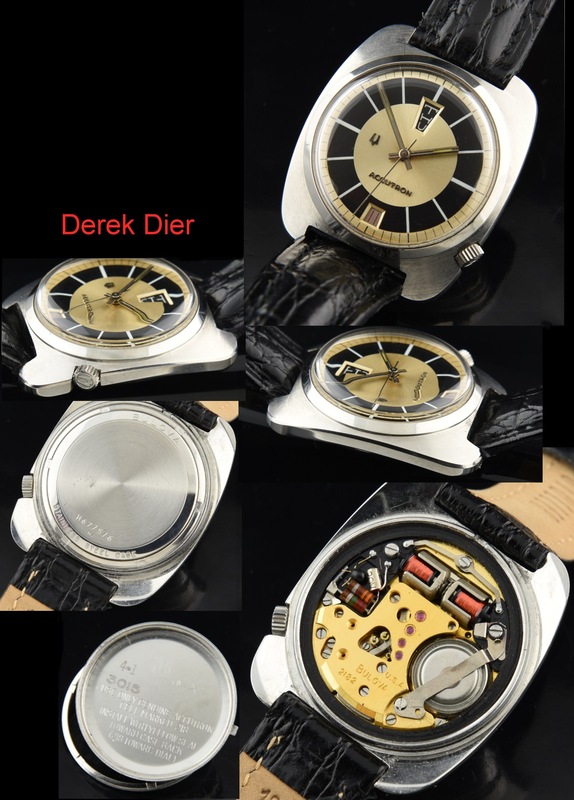 This is a VERY uncommon dial we’ve not seen prior to this example. The Bulova crown is signed and correct. The ACCUTRON electric 218 movement is working accurately. 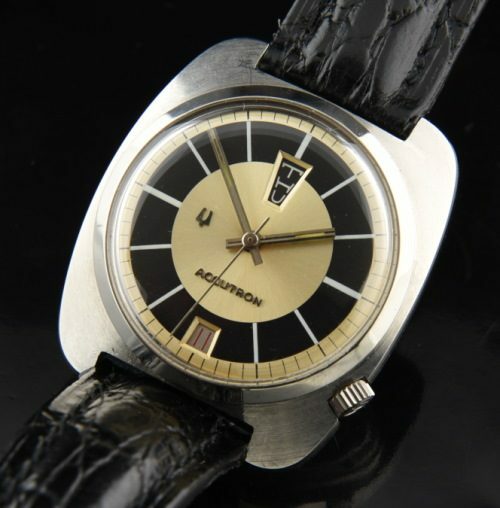 This vintage ACCUTRON just POPS on the wrist!